It's International Babywearing Week (which is confusing me by being October 6-12, which is a Wednesday to Tuesday — is that confusing to anyone else?). Make sure your baby can breathe. Even as you enjoy the convenience of hands-free carrying, be vigilant about checking on your baby as you carry her. Never allow a baby to be carried, held, or placed in such a way that his chin is curled against his chest. 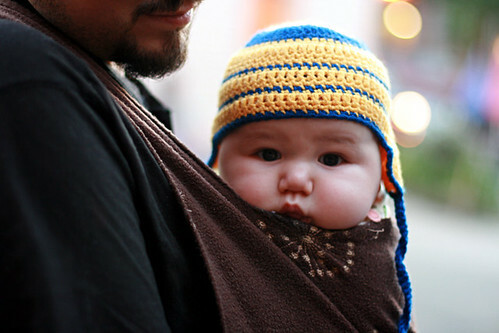 Babies need good back support in carriers so they don’t slump into the chin-to-chest position. 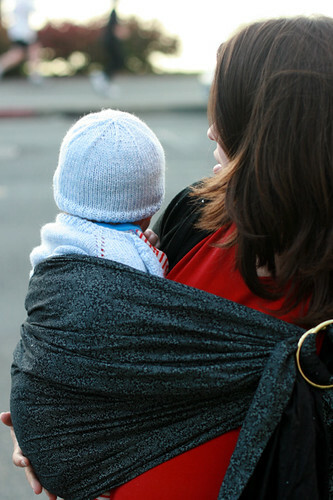 An upright kangaroo carry can be ideal for little babies (see some newborn carries at Wrap Your Baby, and click on each link for specific wrap instructions). For nursing, a cradle carry where the baby's back is only gently curved works well, and then you can reposition your baby more upright after the feeding. Never allow a baby’s head and face to be covered with fabric. This is a suffocation risk with young babies, who lack the strength to uncover themselves to get fresh air when needed. Never do any sharp shaking or bouncing activity with a carrier, such as jogging, running, or jumping on a trampoline. Babies spines and brains are still developing, and such motions could shake them dangerously. Never use a baby carrier when riding in a car. It might feel like you're keeping your baby safely close to you, but soft baby carriers are no match for the extreme forces of even a low-speed car collision. Plus, the weight of the adult crashing into the baby will do even more harm. Please keep your young baby safely harnessed into a rear-facing car seat, and keep yourself in your own seat belt. 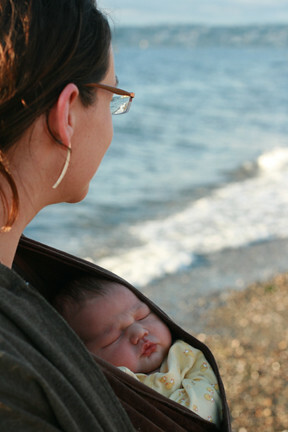 Use only carriers that are appropriate for your baby’s age and weight. Check the manufacturers' guidelines for commercial products, and use your observations and common sense for other carriers. For instance, frame backpacks are only for older babies who can sit unassisted for extended periods, and front carries will usually become uncomfortable for the wearer once a baby or toddler becomes older and heavier. 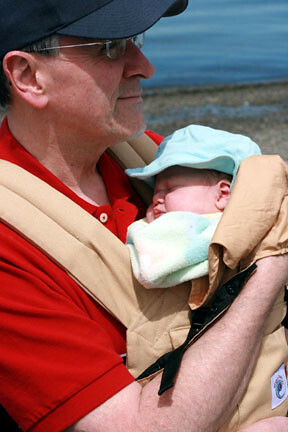 Some carriers, such as the ERGO, have a special newborn insert to start using it from birth and prevent a small baby from slipping through the strap holes. I also found that some carries/wraps are easier for different ages: Small babies tend to do best on the front, and older toddlers can more easily handle a hip or back carry. 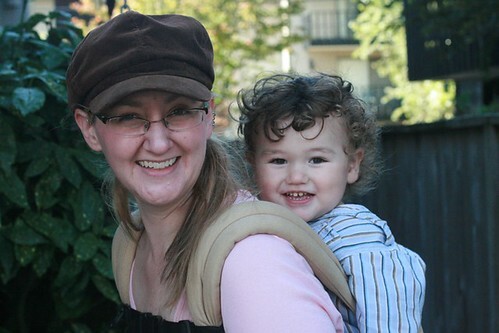 Check out my age-progressing series on babywearing the heavy (or, really, any!) baby to get a sense of when to transition from one type of carrier to the next. Inspect your carrier regularly to ensure it is sound. 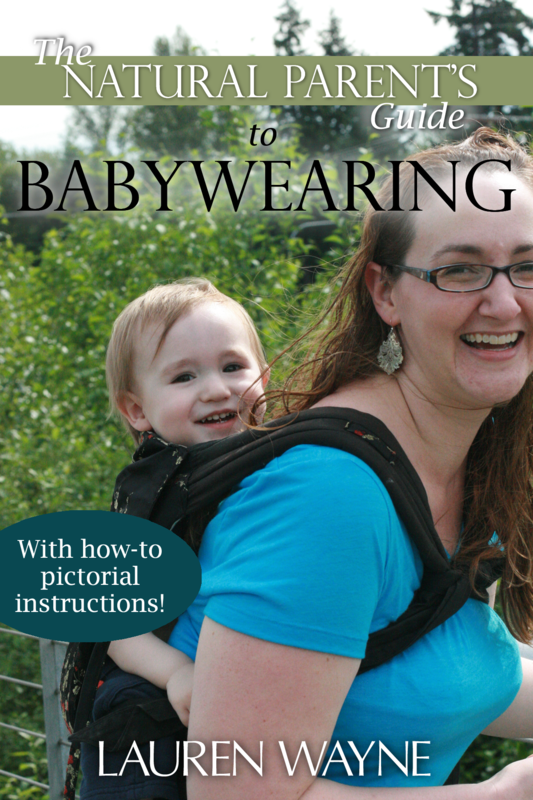 Every time you wear your baby, check fabric, seams, buckles, and straps, for any tears or rips. Double check your carry when you're out. Use any reflective surfaces you pass – such as car or store windows, feel your baby’s position with your hands, or ask for someone else's observations. If you wouldn’t do it while pregnant, don't do it while carrying a baby. Anything that increases your risk of falling is not a good match for babywearing. When a baby is in the womb, she has some built-in protection, but a baby a carrier (or in arms) has at best a thin layer of cloth between her and the ground. So skip the bicycling, skating, horse riding, and climbing while babywearing, and take special care on slippery surfaces or consider an alternate form of transporting your baby. Activities that require protective gear are not appropriate for babywearing. If you're mowing the lawn or painting the house, baby carriers do not provide protection from loud noises, dust and projectiles, fumes, or sharp and fast-moving devices. Protect your baby from the elements. Use a summer-friendly carrier, provide appropriate sun protection (which might mean not staying out very long! ), and dress both of you lightly in hot weather. In the winter, make sure your baby is snug, and consider a special babywearing coat or poncho if you live in a cold clime. Be aware of what your baby can reach. Particularly if your baby is on your back, know that little grabby paws can get to things you can't see. Don’t put loose items in the carrier. 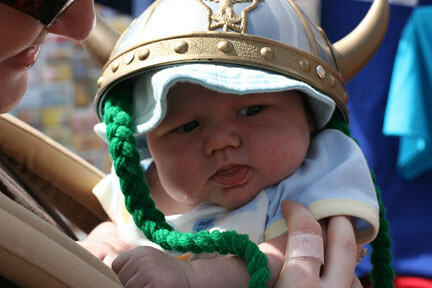 Be aware of anything that could provide a choking hazard, poke your baby, or cover his face. Be careful when cooking. Being near a hot stove or oven carries a risk of burns, especially as most babies are carried at stovetop height. Be aware of sharp knives and other dangerous tools and appliances that baby might grab or that might contact her. As with a car, boating is not a safe place for babywearing. It's better to put both of you in personal flotation devices that fit and carry your baby in arms, which will give you the ability to swim and lift your baby safely to the surface in the event of an emergency. Practice with a doll or teddy. I know when I would read or look at babywearing tutorials, I still needed to actually try it out before I fully understood it. If you don't have a baby yet or want to practice on something that won't get upset with your initial fumbling, try something squishy and inanimate! Even a wadded pillow or blanket will do, though granted that it's not as cute as your little one. If your baby (or you) is not feeling well, try again later. For instance, when a newborn is frantic from hunger is not the best time to try out a nursing hold for the first time! Enlist another trusted adult. Make sure he knows you are depending on him to catch the baby if she starts to fall. Start low. Sit on the floor as you begin a wrap so you both can have less fear of falling. Later on, try starting from a sofa or bed. It seems like a lot of advice, but it really does become second nature once you get started! I really think most of these tips are in the no-duh category (no disrespect intended, because we can all use a reminder now and again!). A good basic rule is to remember to keep your baby's face visible at all times, and the closer to your lips to give a kiss the better. And what is the payoff? "Not only does babywearing allow parents to have both hands free while carrying their children, but research is also shedding light on how this practice has numerous benefits for children. A study published in the journal Pediatrics in 1986 found that 6-week-old babies carried at least three hours a day in a soft carrier cried and fussed 43 percent less than others overall, and 51 percent less in the evening hours. Another study, published in the journal Child Development in 1990, found that mothers who were given cloth carriers at birth were more responsive to their babies and had babies who were more securely attached than mothers who received plastic infant seats." I seriously loved (still love) babywearing Mikko, and I soooo look forward to starting all over again (with perhaps some lovely new carriers, oh, joy!) with the new baby. I found it really easy to be safe while babywearing, because I loved keeping my baby's face in sight. I think maybe the best overall tip I can give for what carrier to buy, and it's going to sound kind of snotty, is to buy a crunchy-granola wrap or carrier that you can't find at a big box store. Because babywearing has been around for much longer in the alterna-crowd, I feel like the slings, wraps, mei tais, and structured carriers that are made by small sellers and mama-owned companies are usually the ones that make the most practical sense, are sewn with quality construction (and love! ), are road tested by babywearing parents and caregivers all over the globe, and are most likely to be safest for baby while at the same time being most comfortable for the adult (and for the longest amount of time). There are exceptions, of course, but that's my two cents. Just check for reviews first. TheBabyWearer.com has a big collection of product reviews, as do the Mothering.com forums, where you could also post a call for help in deciding what kind of carrier to get. If price is a barrier, try out quality consignment stores in your area to look for some good used carriers, try searching for baby carriers on eBay for a deal (I put up a widget at the bottom of this post so you can see what's currently available), or consider making one for yourself! I also recommend some good ones in my series of links below. What are your favorite carriers? Do you have any safety tips or concerns for babywearing? 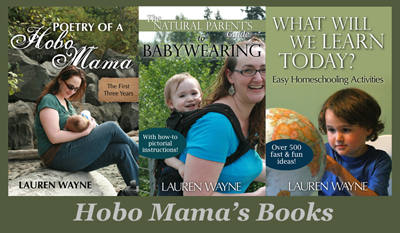 Read more about different baby carriers and babywearing, complete with pictorial how-tos, in my Natural Parent's Guide to Babywearing! Thanks so much for this timely post! A friend just asked me about babywearing! Plus, I'm not very happy with my ring sling and my heavy baby so I needed a refresher. I've been perusing (again) your posts on the topic and have come to the conclusion that I MUST get or make a Mei Tai! ASAP! excellent post. although my warped humour couldn't help but chuckle at #8, but guess some people do such things! i loved carrying my girl, absolutely wonderful part of my early parenting. My all time favorite is the Ergo Carrier. We bought 2 of them right before we moved to Africa to help run an orphanage. They were live savers! So much easier to handle than bulky strollers. Kept our little ones safe in the markets too.